Poindexter really should have had one of these. ANEW type of unbreakable, flexible material which has the same transparency as ordinary glass, but weighs less, size for size, has been invented in Germany. A product of artificial resins, the new material can be bent, twisted, punched, cut with a scissors, polished and sawed. 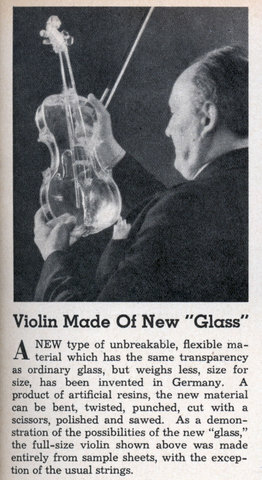 As a demonstration of the possibilities of the new “glass,” the full-size violin shown above was made entirely from sample sheets, with the exception of the usual strings. I assume this is the Plexiglas violin presented by Rohm and Haas at the 1937 World’s Fair. 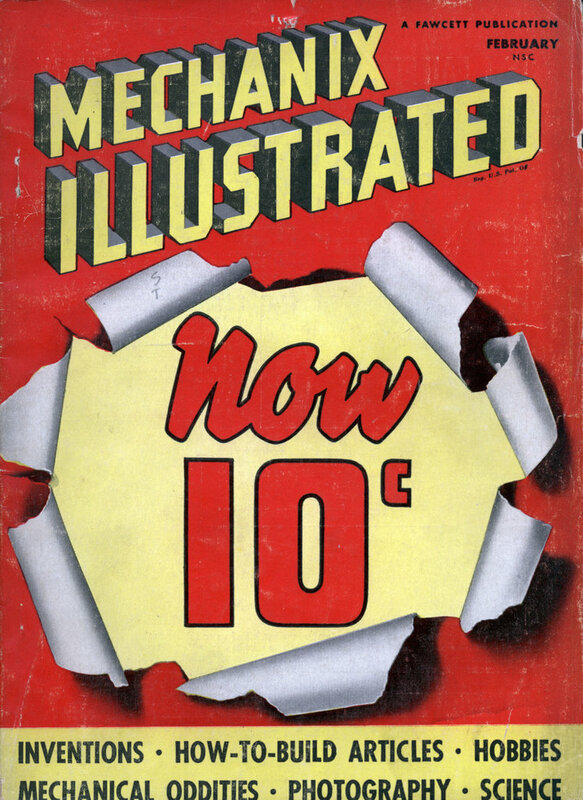 It’s not exactly “unbreakable”, but it’s definitely awesome stuff compared to the alternatives at the time. As opposed to the electric violins of 1933. Looks like Dan Armstrong was 30 years late with his Plexiglas guitars. With just the plexiglass to resonate the sound, I can’t imagine this being a very great instrument to listen to. Does anybody know for sure? then smashed it in front of the board of directors. One of his companies had developed a method of duplicating the Stratovarious out of plastic.